Background/Purpose: Since 2008 the Center for Medicare and Medicaid Services (CMS) has been in the process of changing patient care to quality-valued healthcare. In order to comply with the six RA performance improvement care measures, we created the Clinical Disease Activity Index (CDAI) calculator with the efforts of a multidisciplinary team for use in the electronic medical record (EMR). The goal of this pilot study was to review the utility, adoption, and impact of the CDAI in an academic clinical practice. We investigated distribution of disease categories, the correlation and agreement of the CDAI and Simple Disease Activity Index (SDAI) values and categories, and finally examined longitudinal trends in disease activity and associated factors in our cohort. Methods: 179 patients were analyzed over 16 months (n= 663 clinical encounters). Intraclass correlation was computed for CDAI and SDAI scores. The Kappa agreement and McNemar’s test were conducted for the agreement of CDAI and SDAI disease categories. A logistic mixed effect model was used to assess the effect of the cofactors on CDAI and SDAI disease categories recorded for patients over time. The Cox proportional hazards model was used to assess the time to initial remission and low disease categories. Results: After 3 months of launching the calculator we maintained >70 % EMR documentation rate throughout the study period. Our study was conducted in an 84.27% Hispanic population with 84.27% being female. Of total, 72% of subjects improved or remained stable in remission or low CDAI status, while 28% deteriorated or remained in high or moderate status. The intraclass correlation for CDAI and SDAI scores was found to be very high 0.99 (p-value <0.0001). The test of concordance for SDAI and CDAI categories showed no significant difference between discordant pairs (p-value 0.3352). The rate of change to remission or low stage was 7% likely to be obtained in an individual over the follow up period (OR: 1.07; 95% CI: 0.92-1.26, p=0.37). A median time to initial remission or low disease status was estimated as 5.8 months for patients in the cohort that started with either a moderate or high disease status (n=22) based on using the Kaplan-Meier method. Conclusion: An excellent concordance was found between CDAI and SDAI, therefore CDAI could be used regardless of CRP values. Upon implementation of the CDAI in the clinic a small trend towards improvement in disease control over time could be seen, but could not reach a statistically significant level. Further analysis is needed to study the utility of clinical disease indices in the ambulatory setting. This study has established a quick and easy way to document periodic assessment of disease activity for future epidemiological review and classification of RA disease prognosis. Disclosure: I. Lazarus, None; S. Kazi, None; A. Dwivedi, None; C. Dodoo, None; K. Pema, None. Lazarus I, Kazi S, Dwivedi A, Dodoo C, Pema K. Impact of the Clinical Disease Activity Index to Treat to Target Rheumatoid Arthritis in the Ambulatory Setting [abstract]. Arthritis Rheumatol. 2016; 68 (suppl 10). 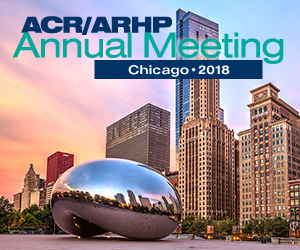 https://acrabstracts.org/abstract/impact-of-the-clinical-disease-activity-index-to-treat-to-target-rheumatoid-arthritis-in-the-ambulatory-setting/. Accessed April 21, 2019.